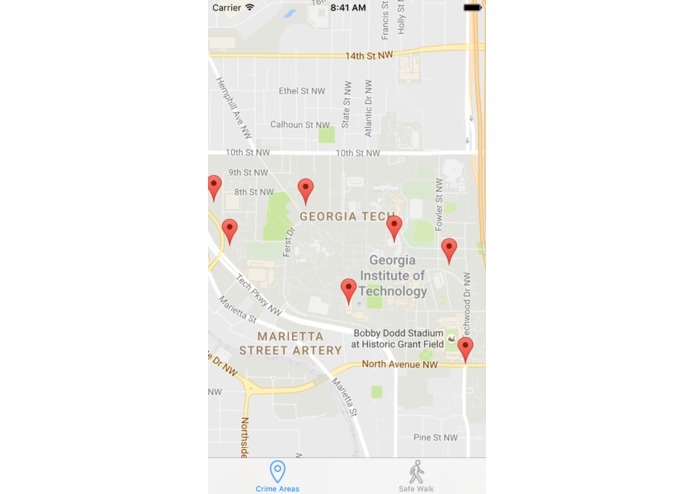 It’s scary walking home at night, especially if you’re new to campus and don’t know which areas to avoid. 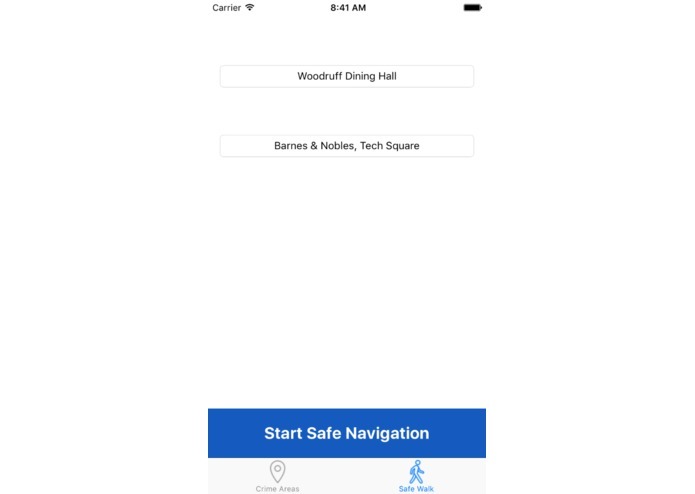 Safe Walk shows you the least dangerous way to get places and shows you the areas which have historically higher crime rates. Safe Walk looks through the alternate routes that google maps gives to show the safest way to travel. Additionally, it goes through the points from the GT Police Crime Logs to show the points that have had more than 5 reported instances of crime in the past 3 years to map it onto Google Maps. We built it using swift mainly, and tried parsing through the data using python.